Cutler Lab: We're in the Sigma catalog! We're in the Sigma catalog! 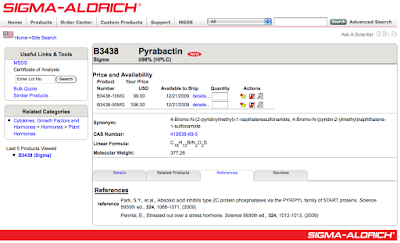 Pyrabactin can now be purchased from Sigma!